Driving for long hours in the car can put even the healthiest back in a compromised position. The long hours in the car are taking a toll on my back. 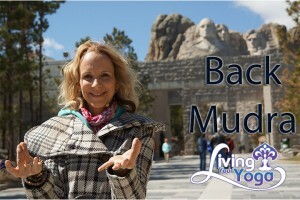 I have been doing my yoga morning and evening in the hotel rooms and I have been doing some yoga stretches in the car, but today I thought I would share with you a back mudra that you can do while travelling. In your right hand bring your thumb, middle finger, and ring finger together. Your index finger and ring finger will remain extended. With your left hand, place your thumb joint and the nail of your index finger. 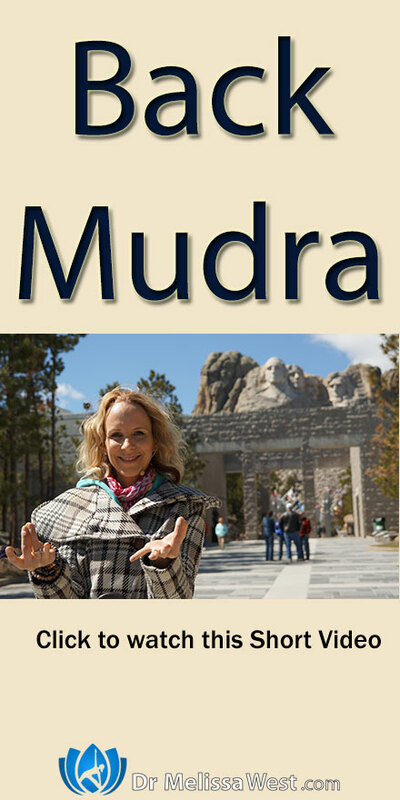 This mudra is known to be effective if you have sat for too long in the wrong position according to Gertrud Hirschi.